The United Nations has come under fire for appointing comic book character Wonder Woman as its new Honorary Ambassador for the Empowerment of Women and Girls. The UN bestowed the honorary title to the famed heroine, also known as Princess Diana of Thermyscira, on her 75th birthday on Friday, marking the launch of a year-long social media campaign to promote women's empowerment and gender equality. But the decision was not without controversy, sparking outrage among both UN members and women's rights advocates across the world. 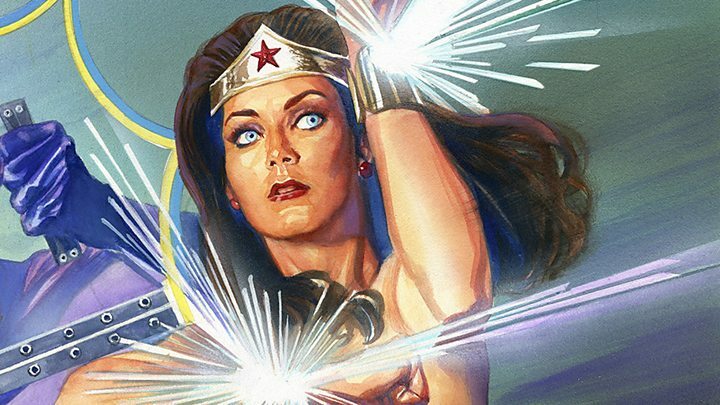 More than 1,000 of anonymous and "concerned" UN staff members have signed an online petition arguing that Wonder Woman was not an appropriate choice, noting the character's physique as: "a large breasted, white woman of impossible proportions, scantily clad in a shimmery, thigh-baring body suit with an American flag motif and knee high boots -the epitome of a "pin-up" girl". Critics who signed the petition said it was "disappointing" that the UN "was unable to find a real-life woman that would be able to champion the rights of ALL women on the issue of gender equality and the fight for their empowerment". The comic book superhero has sprung back into culture relevance with the upcoming release of a new Wonder Woman film starring Israeli actress Gal Gadot, who appeared at the UN ceremony along with actress Lynda Carter, who also portrayed her in the eponymous 1970s US TV series. Wonder Woman, an Amazonian princess who was created by Harvard-trained psychologist William Moulton Marston in 1941, was inspired by the leaders of the suffragist movement and has been long considered a feminist icon. "The focus [of the UN] was on her feminist background, being the first female superhero in a world of male superheroes and that basically she always fought for fairness, justice and peace," UN official Maher Nasser told NPR. The organisation said the character's appointment was meant to "highlight what we can collectively achieve if women and girls are empowered" and "to achieve gender equality and empower all women and girls", according to the UN's website on sustainable development goals. What has the backlash been? But the honour appeared to be ill-timed. The announcement follows the UN's selection of Portugal's Antonio Guterres as its next Secretary General despite a global push for the organisation to select its first female top diplomat. In fact, a recent analysis found that nine of 10 senior leadership roles at the UN went to men. Prospective female candidates in the race included the former prime minister of New Zealand, the director general of cultural agency Unesco, the Moldovan deputy prime minister and a senior EU official. Why wasn't a woman elected as UN secretary general? "It is alarming that the United Nations would consider using a character with an overtly sexualized image at a time when the headline news in United States and the world is the objectification of women and girls," the petition read. About 100 UN staff members protested the appointment at UN headquarters, bearing signs emblazoned with the words: "I am not a mascot" and "Let's get real". Outrage reverberated across social media, with women's rights advocates pointing to real-life women who fit the bill over Wonder Woman. France's highest-ranking female Cabinet minister, Segolene Royal, told CBS "Nobel Peace Prize winner Wangari Maathai would have been a good choice". Anne Marie Goetz, a New York University professor of global affairs and former adviser on peace and security issues for UN Women, called the decision "disgusting". Feminist icon Gloria Steinem also told CBS she was "all for symbolism" but "we are now looking for women with real terrestrial power." She added she would rather see the ascension of the UN's first female Secretary General. Some critics contend the character's appointment appears to be dated at a time when gender equality is at the forefront of global issues. "She stands for things that people still care about and will always care about so much that she's never going to fade away," Diane Nelson, the president of DC Entertainment, told the BBC. "Her ability to operate alone and be her own independent person but also to work right alongside with the same strength and same abilities as some of the strongest male super heroes I think is a testament to her character and kind of ties back again to the UN designation and this idea of gender equality." Media captionWonder Woman is never going to “fade away”, says the president of DC Entertainment. Stephane Dujarric, a UN spokesman for the secretary-general, said earlier this week "in order to reach young people, in order to reach audiences outside of this building, we need to be creative and have creative partnerships". But can a superhero that is older than the UN itself really reach a younger audience? Interestingly, Wonder Woman ran for president in a comic book written by Mr Marston in 1943 and later in a 1972 cover story for Ms magazine, which was co-founded by Ms Steinem. The heroine lost both times, but perhaps after Hillary Clinton shattered a glass ceiling by becoming the first female to lead a major party ticket earlier this year, Wonder Woman may stand a chance. What other fictional characters were appointed UN ambassadors?